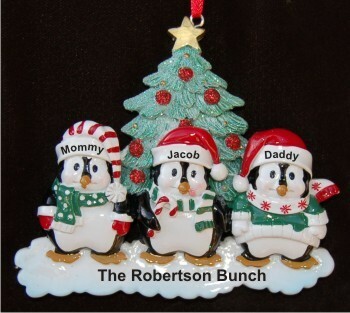 This fun family ornament for 3 features winter penguins celebrating the holidays around their Christmas tree. 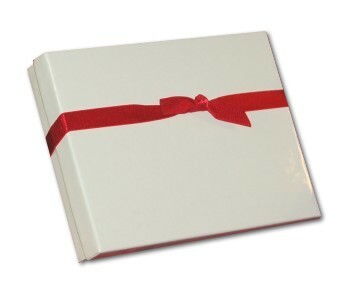 Personalize the ornament with each family member's name, the year, and your custom sentiment. The resin ornament measures 4"H, and includes our holiday cord for convenient hanging. To complete the presentation, the personalized family Christmas ornament arrives nestled within our velvet bag.